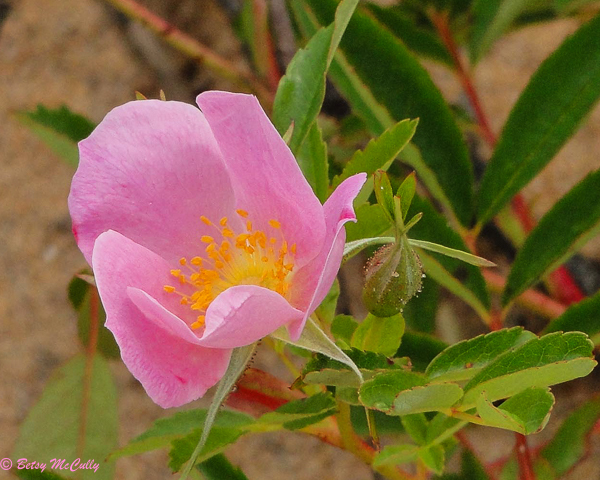 Virginia Rose (Rosa virginiana). Previously Rosa Carolina var. lucida. Rosaceae family. Similar to Rosa Carolina; may hybridize, making id. difficult. Dry, sandy, even saline places. Throughout. Napeague, Long Island, 2011.